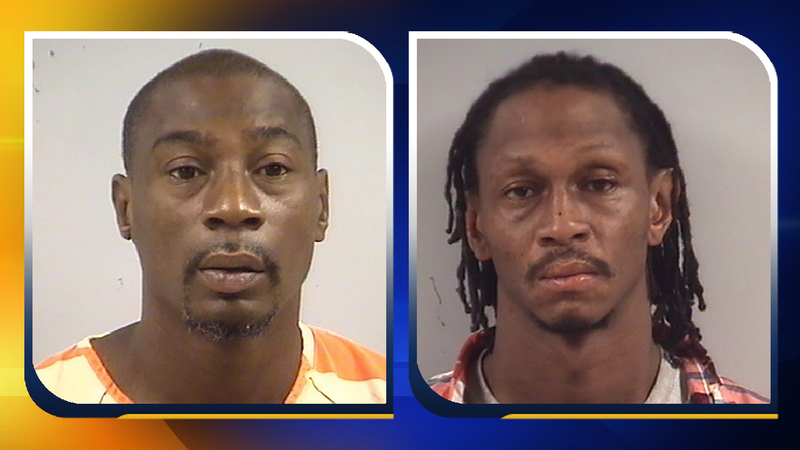 BENSON, North Carolina (WTVD) -- Two suspects have been arrested in connection with robberies at two Benson fast-food restaurants. Jeremy Leon Jackson, 40, of Benson, and Joe Nathan Stokes Jr., 36, of Four Oaks have been charged. The two are accused in a Dec. 20 armed robbery of a Domino's at 107 North Honeycutt St. and in a Jan. 11 armed robbery at a Subway restaurant, at 701 East Church St., both in Benson. Jackson was charged in the Domino's robbery with two counts of robbery with a dangerous weapon, two counts of first-degree kidnapping, two counts of conspiracy to commit robbery with a dangerous weapon, possession of a firearm by a convicted felon, and one count of felony conspiracy. For the Subway incident, he was charged with one count of robbery with a dangerous weapon, three counts of first-degree kidnapping, possession of a firearm by a convicted felon, and one count of assault with a deadly weapon inflicting serious injury. Jackson is being held in the Johnston County Jail under a $600,000 secured bond. Stokes is charged in the Domino's robbery with two counts of robbery with a dangerous weapon, two counts of first degree kidnapping, two counts of conspiracy to commit robbery with a dangerous weapon, possession of a firearm by a convicted felon, and one count of felony conspiracy. Stokes is being held in the Johnston County Jail under a $500,000 secured bond. Police said an additional suspect is being sought in the Domino's robbery. Anyone with information about this case is asked to contact the Benson Police Department at (919) 894-2091.